The question of how to localize the Sustainable Development Goals (SDGs) and the associated targets has proven to be crucial for Local Governments. Despite the fact that the SDGs are universal in nature, their implementation will happen at a local level and so local context, constraints and opportunities need to be taken into consideration. With this in mind the Committee on Urban Strategic Planning and the Working Group on Local Economic Development will organize two peer learning events in December 2015. Fostering cooperation and learning was identified as one of the four key areas of work for the Strategic Partnership between the European Commission and the major global and regional associations of local governments, including UCLG and UCLG Africa. This means increasing UCLG’s capacity to become a learning network and advancing local and regional government capacities to engage in effective decentralized cooperation. UCLG is responding to capacity building demands, supporting the learning of its members and local governments and acting in partnership with citizens, the private sector and academic institutions. To begin to tackle the question of how to localize the SDGs, as part of the UCLG Learning Agenda, the UCLG World Secretariat and it’s Committee on Urban Strategic Planning, together with the City of Blantyre, the International Union of Architects (UIA) and UN-Habitat, are co-organizing an event entitled Public Space as a generator of growth and regeneration in African Cities, in Blantyre, Malawi from 7 to 9 December. 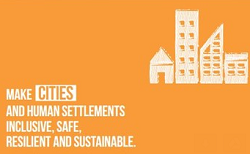 The focus will be on SDG 11 (Sustainable cities and communities) and the urban context central to sustainable development, particularly public spaces, in the African context, since one of the SDG targets explicitly states that by 2030 universal access to safe, inclusive and accessible green and public space should be provided, in particular for women and children, older persons and persons with disabilities. Then, from 9 to 12 of December, in response to Local Economic Development being identified as one of the key issues for Asian members, UCLG ASPAC, the UCLG World Secretariat, the City of Negombo and the International Labour Organization (ILO) will co-organize a learning exchange in Negombo, Sri Lanka in order to better involve themselves in programs and knowledge management. 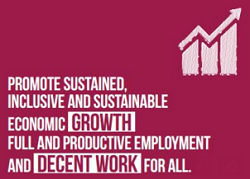 The discussions on localizing development goals will focus specifically on SDG 8 (decent work and economic growth) and in particular regional wage policies. Local Governments have to deal with economic growth, employment and working conditions daily and rapid urbanization means advancing towards SDG 8 is challenging. There is a need to improve the capacity to govern and handle economic development issues and the session will be an opportunity for ASPAC and the Local Government Associations to understand, share and report on their role towards achieving the SDG 8. The outcomes of these exchanges will move towards improved learning systems, active in different parts of the network, that build on experiences and mechanisms of members and identify learning demands.